ANU Nation is a community design organization also known as a Free Church whose programs and services often depend on sponsors and philanthropic support from generous individuals, foundations, and businesses. The majority of our programs and services are delivered free or at nominal costs to adults and youth across the globe. While as a social enterprise, generated revenue supports our programs and services, ANU Nation solicits support from diverse sources including individuals, and sponsorship from small to large businesses in order to stimulate growth and provide consistent quality programs and services. 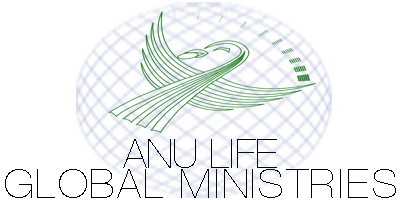 Below please find a list of ANU Nation’s programs and services where we welcome your support! Continue reading to learn more about how you or your organization can become a partner in helping us better serve individuals and communities internationally. The Sadulu House Spiritual Center is the learning ministry of ANU Nation. We currently offer free and paid courses. We offer scholarships for selected individuals looking to join our community. We keep our courses accessible so that we may spread indigenous thought and wisdom far and wide. We are improving the state and quality of life for individuals, families, and communities internationally. Enlightenment and Transformation Radio Broadcast Network is the Media component of ANU Nation. The Enlightenment and Transformation Radio Broadcast Network platform provides free daily broadcasts that also serve as additional learning resources to our Sadulu House Spiritual Center courses. Our broadcasts provide stimulating life altering wisdom, and cultural education to an international audience. Africa Initiative is an ongoing community restoration and humanity effort. Fulfillment of this project provides an opportunity to improve conditions and improve the opportunities of our domestic and continental kin. ANU Nation Events offer us an opportunity to serve the evangelical mission and teaching ministry to the public in the form of workshops and lectures. Events are provided on a monthly basis and presented by Sadulu House Spiritual Center members and founder; Chief Jegna; H. Yuya Assaan-ANU.